So apparently I really enjoy lemon curd. I have realized lately that I' love citrus! I think I realize this every time I make something orangy or lemony. I really do love it. I know I have a couple recipes on here for lemon curd. I have my traditional lemon curd (which is fantastic), my healthier version (which is also quite good) and now I'm posting this quick and easy version. All are great. This one is probably the most tangy and sour of the 3 recipes, but I love it when I'm in a hurry. 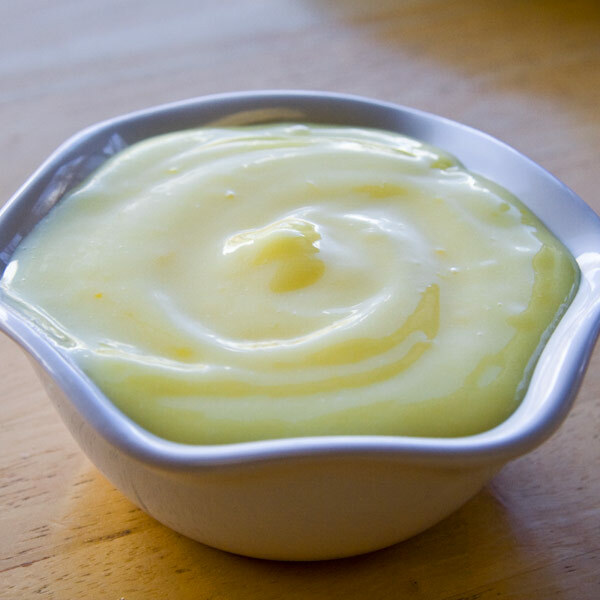 Who knew you could make lemon curd in the microwave? Well now I know and if you are reading this you now know as too! Now you might be asking yourself what would I use this lemon curd for. Let me answer that for you. I like to use it for the filling of cakes, on graham crackers, for lemon bars, you could make up little individual pie crusts and pour this on top to have little tarts, you could pour it over ice cream. Really you could do whatever your heart so desires and I'm sure it would be amazing. In a microwave-safe bowl, whisk together the sugar and eggs until smooth. Stir in lemon juice, lemon zest and butter. Cook in the microwave for one minute intervals, stirring after each minute until the mixture is thick enough to coat the back of a metal spoon. Remove from the microwave, and pour into small sterile jars. Store for up to three weeks in the refrigerator.